Austrian design team EOOS have created the Summer Cloud sun lounge for the 2009 collection of the outdoor furniture manufacturer DEDON. This classic sun lounger takes on a new, innovative face with the SUMMER CLOUD collection from DEDON. 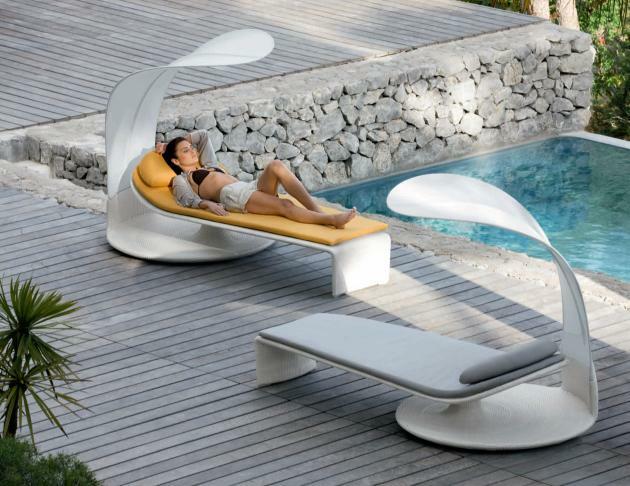 The beach chair combines the lounger and fabric top to form a functional and unique design object. 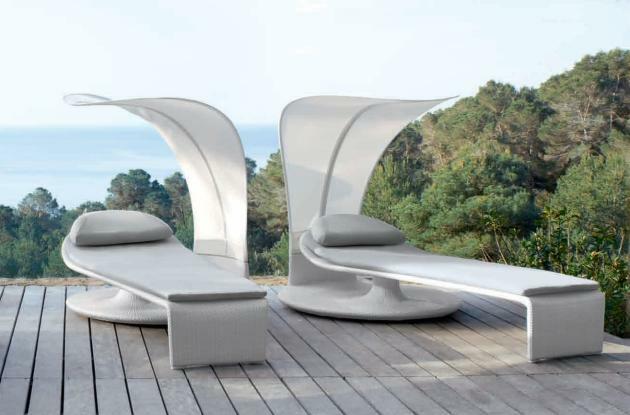 SUMMER CLOUD offers individual 360° use with its sun lounger and sun top connected to one another in a novel way that may be swiveled and set independently of each other. 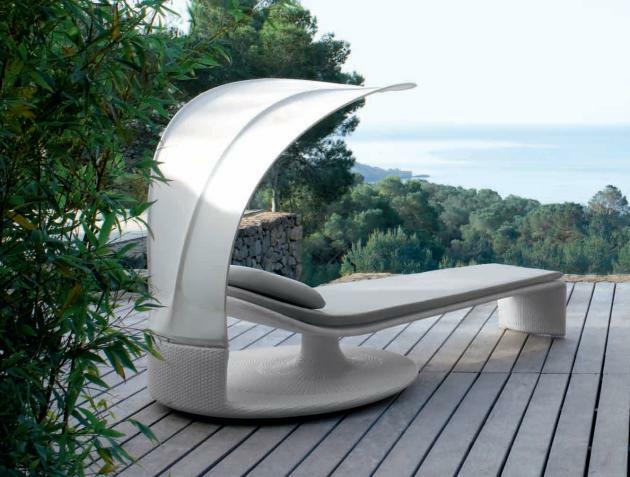 The sun lounger hovers upon a round base from which the screen perfectly functions in an organic manner. The base has a circular mesh structure and also serves as a tray for personal items, which further enhances sun-worshiping moments and the time spent outdoors surrounded by nature. As a result, the individual elements merge into an object full of open and flexible artistry. SUMMER CLOUD allows you to adjust to the ever-changing angle of the sun, satisfying all individual needs intuitively, so you can enjoy fantastic scenery and vistas. Visit the EOOS website – here. Visit DEDON’s website – here.